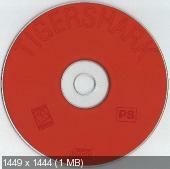 Rate This Thread - Tigershark (TigerShark) [SLUS-00346]. Издательство: GT Interactive Software Corp. Size Error : LOST 150 SECTORS! VERY BAD IMAGE! LOST 150 REAL SECTORS WITH GAME DATA! 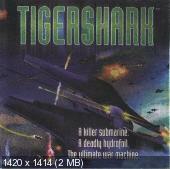 CDmage B5 1.02.1 error report for image "TIGERSHARK.CUE"
The year is 2060 A.D. and the Red Menace has resurfaced and declared war on the entire world. The seas and skies are filled to the brim with enemy submarines, hostile aircraft, powerful battle cruisers, blood, oil, and wreckage. 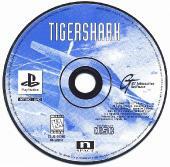 You command TigerShark, a fully-loaded subfoil prototype, capable of massive destruction. Your ship is constantly barraged with enemy firepower as you lay waste to (almost) anything that moves. From time to time ally submarines appear on screen and you must lead them to safety miles below the surface. 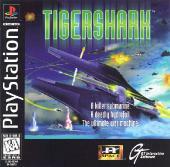 TigerShark features two simultaneous 3D worlds (above and below the water), multiple viewpoints, and a drop-cam. * Save the future from the Red Menace! The Ultimate Was Machine... Come Hell and High Water. 2060 A.D. The Red menace has resurfaced. The sea boils with submarines and battlecruisers, blood and oil. The skies are dark with enemy birds. Tigershark has been deployed. A fully-loaded subfoil prototype. Forged for war. Built for speed. Dead set on destruction. Underwater. And over it. Tigershark is hungry. The feeding frenzy is about to begin. 2 simultaneous 3-D worlds of ultra-smooth scrolling, real-time environments. State of the art surface and subsurface arsenal. Real-time dynamic lighting and totally interactive 3-D environments. Multiple views and a drop-cam! Last edited by aNDROID999; 31-07-2008 at 21:19. Жаль, но одна сплошная ошибка (в образе диска)! Файл перезалит на MEGA.NZ. Тема обновлена.